The new school will greatly enhance the facilities available locally for children and young people with specialist needs. 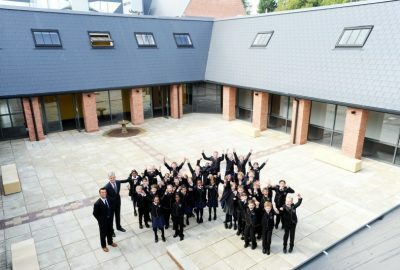 A £10m new build co-educational school for 175 pupils aged four to 19 with special educational needs, Birkett House School caters for youngsters with a range of special educational needs, from profound and multiple learning difficulties to a moderate disability. The new school has a feature hydrotherapy pool, sensory and interactive rooms. 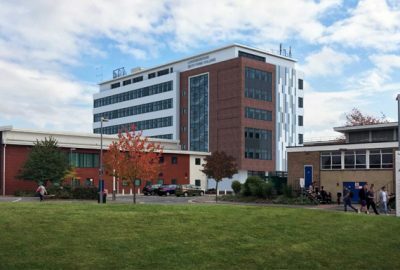 Birkett House has relocated to ultra-modern premises at the Wigston Secondary School campus in Station Road, Leicester. 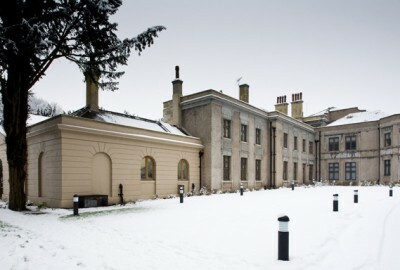 The new building offers places for 125 children and young people aged between four and nineteen. Our client Willmott Dixon engaged our design services at the feasibility stage enabling us to have full input into pre-planning services requirements through to concept and technical design stages. BSP Consulting was the main designer for the drainage and worked closely with DSA Environment + Design. The company used its engineering and drainage expertise to transform the DSA vision of a biodiverse, learning space focused around water into a viable, effective and impressive sustainable drainage infrastructure scheme. Due to the sloping nature of the site and desiccated (dehydrated) soils, a complex geotechnical and foundation solution was required to make the site viable in the first place. It was crucial that the landscaping solution not only considered rainwater run‐off, it also had to consider mobile groundwater conditions, due to the localised wet sand bands within the boulder clay. The mobile groundwater conditions present on site also determined the type of concrete mix to be used where contact was made with the ground. A SUDs drainage solution was used, involving swales, filter margins, raingardens and a wet attenuation pond providing a learning opportunity. 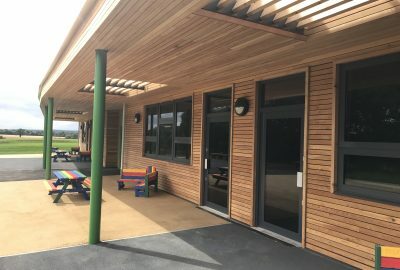 The SuDS scheme was designed to provide a safe, inspirational, life‐enhancing outdoor educational facility for the pupils, while at the same time creating a sustainable, extensive and effective drainage system for the new buildings and site. Drainage system: Storm water run‐off discharged to a series of swales and wetlands, within the car parking and playground areas of the school. Water from hard surfaces is fed into open channels which were used to connect swales and wetlands to a final flow control before being discharged off site. Play gardens: Unusually for this type of school, a series of ‘rain gardens’ has been created within play areas to receive storm water. These are fully accessible to children and managed as wild flower meadows. Wetland site: An open wet attenuation basin acting as part of the drainage system for the school was formed and is part of the school’s outdoor learning. It is accessible and contains a shallow pond and marginal planting to extend the range of experiences and activities available to children. Graded paths allow all students (i.e. wheelchair users) access to the water feature. Wildflower grassland: An area for wildflowers was incorporated into the scheme to improve biodiversity at the site and provide an additional learning space and opportunity for pupils. This provides a range of sensory experiences including the sounds of insects and the smell of flowers. The site was sloping, and the presence of trees meant there was a lot of desiccated material under the footprint that would not normally be suitable for use as a structural formation cement/ lime stabilization was used to improve site won material on site reducing import of stone and export of cut material. This not only cut costs it reduced site traffic significantly through the school grounds which were operating throughout the project. The improved ground enabled a traditional pad and strip foundation and ground bearing floor slab. This vastly reduced the number of foundations and sleeper walls and greatly reduced the slab construction. 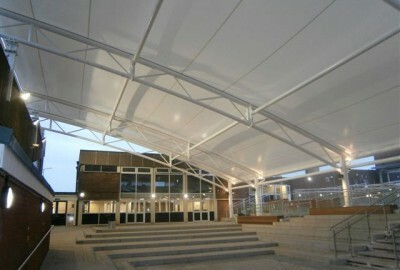 The highly architectural building comprised a complex geometric shape with intersecting curve/faceted roof giving every frame a unique profile. The scheme was modelled in Tekla and in Revit enabling a rapid interchange of models and information between ourselves, the fabricator and the architect. The superstructure comprised a steel frame with square hollow sections within the wall structure. The hollow section construction avoiding the need for column encasement eliminating projections and arises into the room that could cause harm to pupils. It also enabled non-orthogonal intersections at column heads. Early interaction with hoist manufacturers/ M&E and kitchen designers enabled localised strengthening of the roof structure to support hoists sliding partitions, PV kitchen hoods and air handling equipment. Externally a unique canopy structure was designed giving minimal structure (and therefore obstruction) to give a light and open sided covered entrance approach from the car/minibus arrival area. This was also designed in hollow section steel to minimise sharp corners. The site access proposals were required to cater for multiple users and the access solution for the SEN School provided a safe and secure drop off/pick-up facility and well designed and easy to understand. 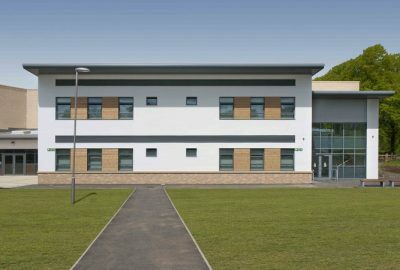 A new build school, offering places for 125 children and young people aged between four and nineteen. 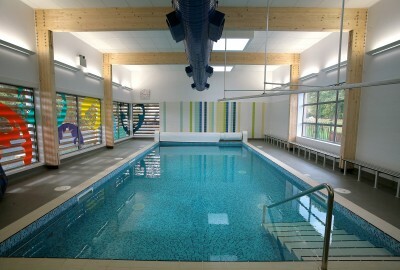 The new school has a feature hydrotherapy pool, sensory and interactive rooms.